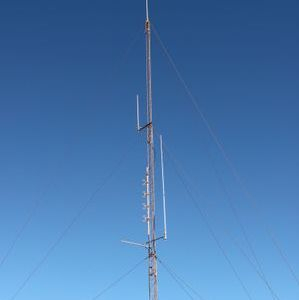 VK6RTP located in the small mining town of Tom Price which is the highest town in W.A. at about 750m above sea level and the repeater is the highest repeater in the state at approximately 1130m above sea level on top of Mt Nameless. This is not the first repeater for the town, going back to the 90's the region had many Hams and there was apparently a 70cm repeater in town. I have no information on it however. 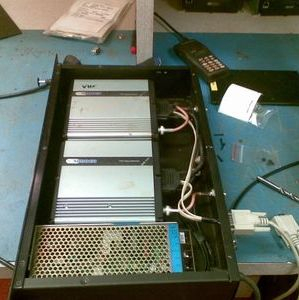 In 2008, a simple VHF 2m repeater was built out of 2 commercial radio's and installed on top of Mt Nameless with a folded dipole antenna. Coverage was good and gave an idea of what to expect. 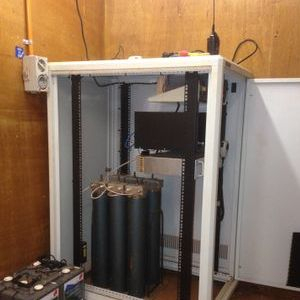 Eventually a new repeater was sourced, a Spectra MX800 and a new vertical antenna was supplied and fitted on the tower. Coverage testing was carried out, the repeater could be accessed around Paraburdoo, sections of Karajini National Park, Marandoo mine/camp, Brockman 2/4 and Nammuldi mine and at various locations along the Rio Tinto rail line towards Karratha. Coverage stopped at around the 180km mark on the rail line which is appox 90km away from the site. These tests were done from a vehicle with the antenna mounted on the roof, other's may have different results. 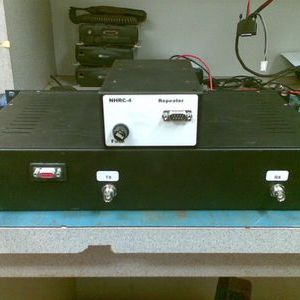 The repeater also had a PC for remote control/monitoring and echolink connectivity using 3G mobile network. The system has been a bit hit and miss with most of the troubles been with the PC. A replacement for this is being looked at. 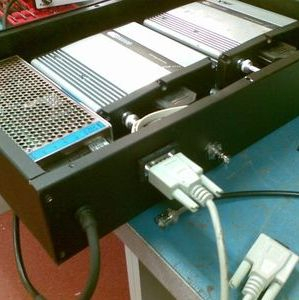 Possibly with the use of a Rasberry Pi unit or similar.